"A kind of card game that first emerged in 1993 and consists of specially designed sets of playing cards. A TCG is initially played using a starter deck or intro deck, which can be modified with cards from Booster Packs"
The Final Fantasy Trading Card Game was first released in very late 2010. It is a traditional TCG with the cards divided between 'character' and 'Eidolon' cards. Each character card has abilities and attacking ones have their own Power, functioning as their HP and strength. The game is played between two players, each of whom must have a deck consisting of 50 cards. All cards in the FF TCG are divided between eight elements. These elements are those of Fire, Ice, Wind, Earth, Lightning, Water, Light and Dark. The last two of these are considered 'special' elements and do not have as many different cards as the other six. Magic: The Gathering is a trading card game and a digital collectible card game. It was created by Richard Garfield. First published in 1993 by Wizards of the Coast, Magic was the first trading card game produced and it continues to thrive, with approximately twenty million players as of 2015. Magic can be played by two or more players in various formats, which fall into one of two categories: constructed or limited. Limited formats involve players building a deck spontaneously out of a pool of random cards with a minimum deck size of 40 cards. The other major category of formats is constructed. In constructed, players created decks from cards they own, usually 60 cards with no more than 4 of any given card. Magic is played in person with printed cards, or using a deck of virtual cards through the Internet-based Magic: The Gathering Online, or on a smartphone or tablet, or through other programs. Each game represents a battle between wizards known as "planeswalkers", who employ spells, artifacts, and creatures depicted on individual Magic cards to defeat their opponents. Although the original concept of the game drew heavily from the motifs of traditional fantasy role-playing games such as Dungeons & Dragons, the gameplay of Magic bears little similarity to pencil-and-paper adventure games, while having substantially more cards and more complex rules than many other card games. Commander is an exciting, unique way to play Magic that is all about awesome legendary creatures, big plays, and battling your friends in epic multiplayer games! 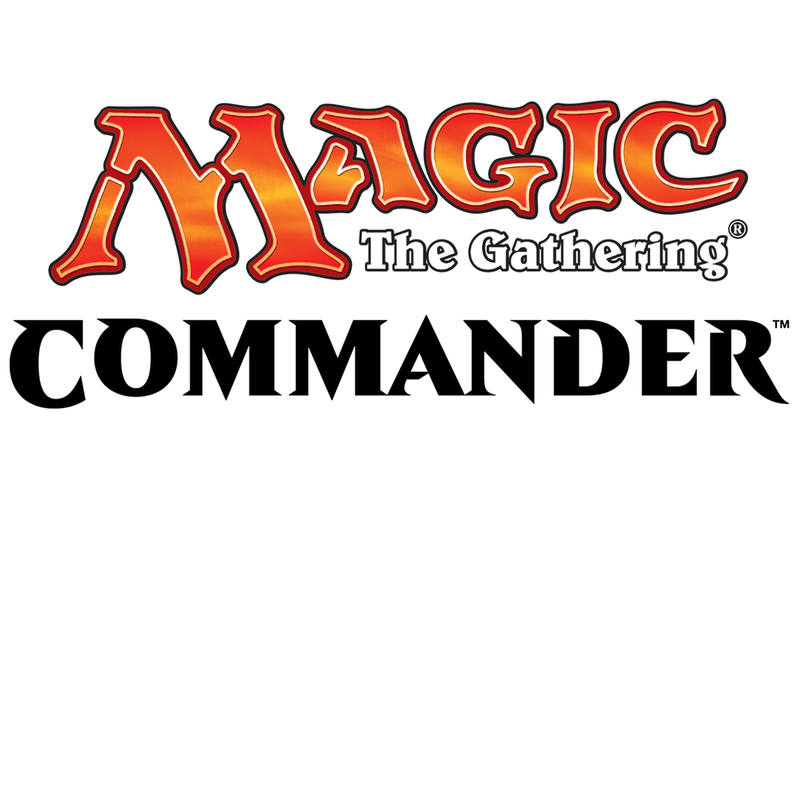 In Commander, each player chooses a legendary creature as the commander of their deck. They then play with a 99-card deck that contains only cards of their commander's colors. Also, other than basic lands, each deck can only use one copy of any card. During the game, you can cast your commander multiple times, meaning your favorite Legendary Creature can come back again and again to lead the charge as you battle for victory!